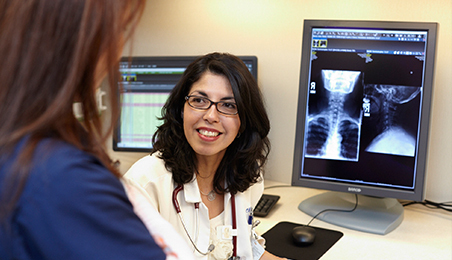 Mount Sinai Doctors Five Towns provides coordinated, efficient, and complete medical care for your family’s needs. We treat patients of all ages from birth to the end of life and manage common, chronic, and complex conditions. Our practice in Hewlett, NY enables you to get convenient, accessible health care to keep you healthy and treat any illnesses. Patients are able to enjoy peace of mind, knowing that the use of a state-of-the-art electronic medical records system expedites communication with those involved in their medical care. At Mount Sinai Doctors Five Towns, proactive health care managed by a primary care provider for adults and pediatricians for their children will reduce the need for hospitalization. Additionally, our team of physicians offer extended hours as well as same day appointments. For the residents of the Five Towns, this medical office will be the right place, the right time, the right healthcare. 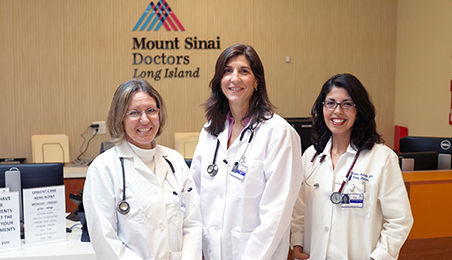 Our physicians are part of the Mount Sinai Health System, so you can easily make an appointment with a Mount Sinai doctor without leaving Long Island. Another plus, as part of this network, we have access to the renowned specialists and treatment options that Mount Sinai offers and can seamlessly coordinate your care with the Manhattan locations, if you need it.